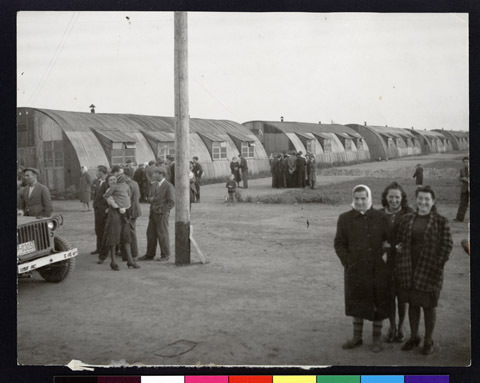 JDC - Archives : Jewish refugees standing in front of the former army barracks which are now their temporary shelters. Title Jewish refugees standing in front of the former army barracks which are now their temporary shelters. Description Jewish refugees standing in front of former army barracks, which are now their temporary shelters in the emergency DP Camp. JDC provided supplementary food and clothing, and began working to secure better lodgings for the winter months.